Eighteen cyclists participated in the third Thuso sponsored bike ride on Sunday 11 September. 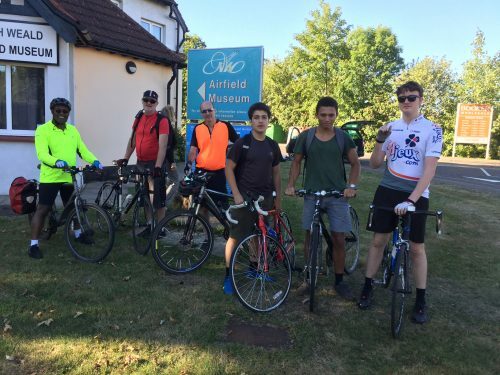 The 40 mile sponsored cycleride, went out into Epping Forest from Walthamstow to North Weald in Essex, via High Beech, and returned via Theydon Bois. The fabulous weather and lovely Essex countryside helped the cyclists on their way. Although, as event co-ordinator Gerard Omasta Milsom reported, they faced a number of challenges in the form of ‘rather a lot of hills and several punctures’. Cllr Saima Mahmud, representing the London Borough of Waltham Forest, sent the cyclists on their way. Meanwhile, chair of Thuso, Mmapula Tladi-Small, spoke about the work of the charity before the ride began. 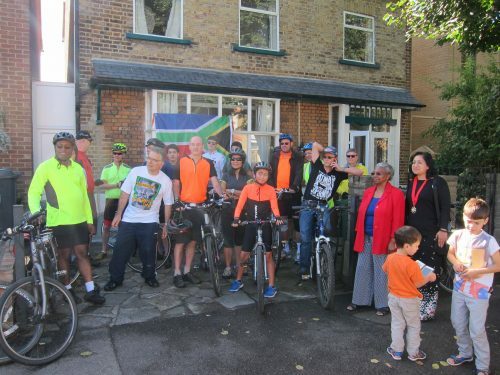 The sponsored bike ride was raising money for the charity’s appeal to provide solar lamps to children and families in rural Limpopo in South Africa. The solar lamps help children to study after dark and limit the use of dangerous kerosene lamps. Although the village does have electricity, the supply can be erratic due to power cuts and an overloaded network. Gerard Omasta-Milsom said, ‘We have set ourselves a target of £2,000 this year, which we hope to achieve. Last year over £1,000 was raised by the cycleride. These funds will have a tremendous impact on the communities we support in South Africa.’ There is still time to donate to the appeal to help us meet our target.